Pinecrest Percherons and Carriage Service’s rates are very competitive. We are committed to providing a quality of service that cannot be matched by others and that you will remember for a lifetime! Our prices are determined by date, location, time, and number of units (horses & carriages) you are requesting. Our fees include all preparations, set-up and travel time. 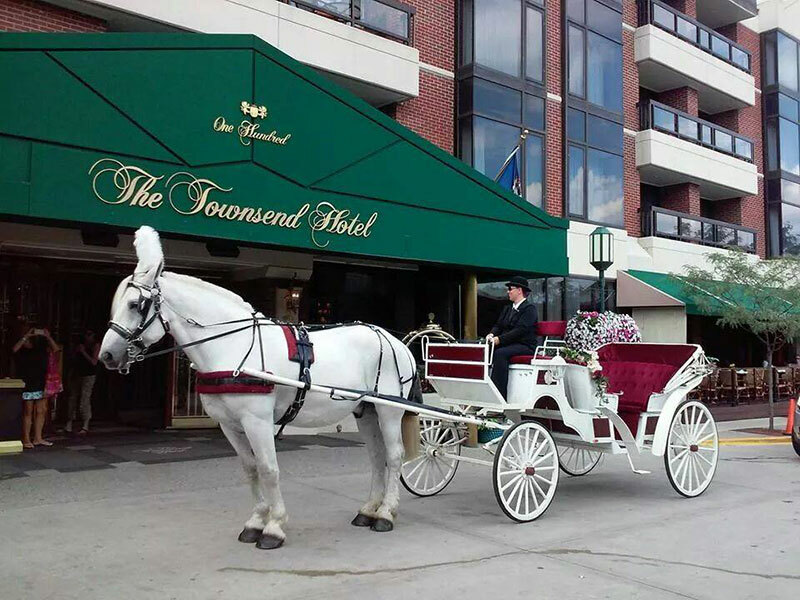 There is a minimum price for 1 horse & carriage with 1 hour of service. Please be sure to allot enough time for photos and travel time to your destination. Allow approximately 15 minutes per 1 mile. Maximum distance we will travel is 3 miles on the road with the horse and carriage. Additional time can be purchased if needed. A beverage basket (Champagne & Chocolates) Must be over 21 years! May substitute for PowerAde/Water. Due to our outstanding reputation, availability may be limited! 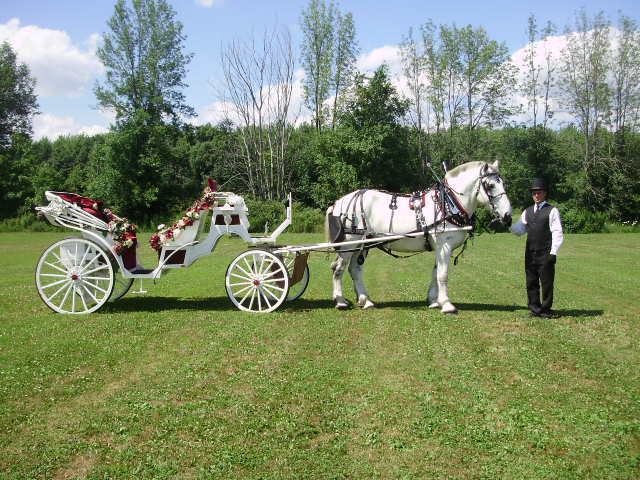 To reserve any of our Horse-drawn Vehicles be sure to contact us as soon as possible.